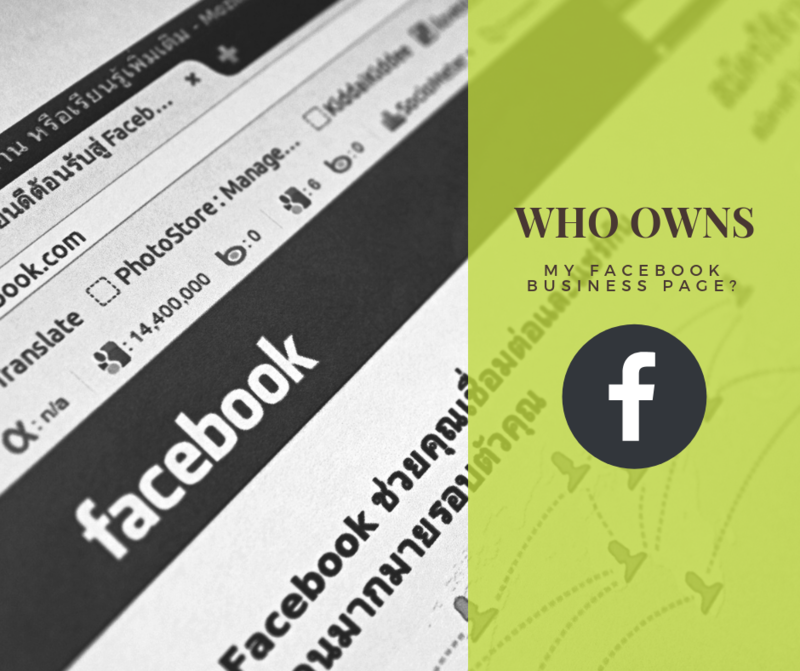 Who Owns My Facebook Page? Facebook Business Manager helps advertisers integrate Facebook marketing efforts across their business and with external partners. You can use this free platform to run and track your ads, manage assets such as your Pages and ad accounts, and add an agency or marketing partners to help manage your business. When you create a Business Manager, it becomes a central space to manage your business separate from your personal Facebook profile. You’ll manage your Pages and ad accounts in Business Manager, so you never have to worry about mixing business content with your personal content. When setting up a Facebook Business Manager, it is required to include a “Primary Page.” The first Page you add to your Business Manager is your primary page. You can change your primary page as you add more Pages to your Business Manager. To learn how to change your primary page in Business Manager, click here. With the recently integration of Facebook and Instagram, you may face new challenges. For example, under administrators on the Facebook Page, you may notice a new administrator, someone that you didn’t authorize. Not to worry, if you recently converted your Instagram account to a business account, and then connected (or tried to) to a Facebook Page, you’ll notice a new “person” who owns the page. That “person/account” was created during the conversion process. To remove this “person/account” you will need to disconnect the Facebook Page from Instagram, and Instagram from Facebook for this account. It will prompt you for the URL of the page you want to own. Paste that URL in the box. If you are the admin of the page, it will automatically add it to your owned pages. For the majority of users, this will be the solution. However, for others, you may need to remove the account entirely from Business Manager (MAKE SURE YOU HAVE ADMINISTRATIVE RIGHTS BEFORE YOU REMOVE THE ACCOUNT!). If you manage a Facebook Page and part of your social strategy is daily interaction with other local or likeminded businesses, you’ll notice that something missing. Recently across many Pages, Facebook has removed the “View Posts” button. The “View Posts” button allowed users to scroll through their Page’s Newsfeed. 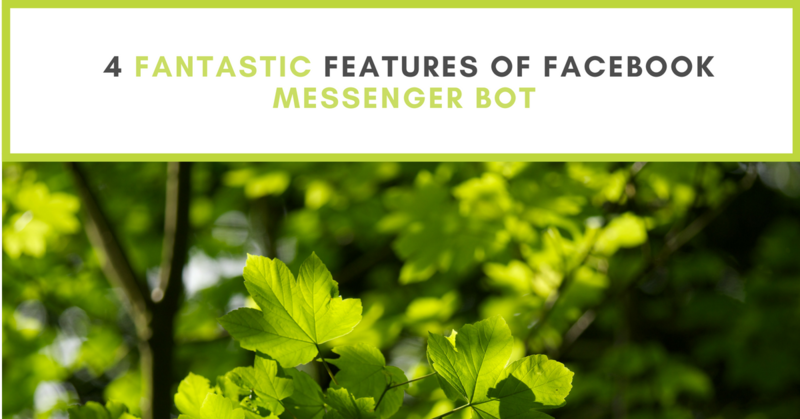 This allowed Page administrators to engage and interact with other pages! 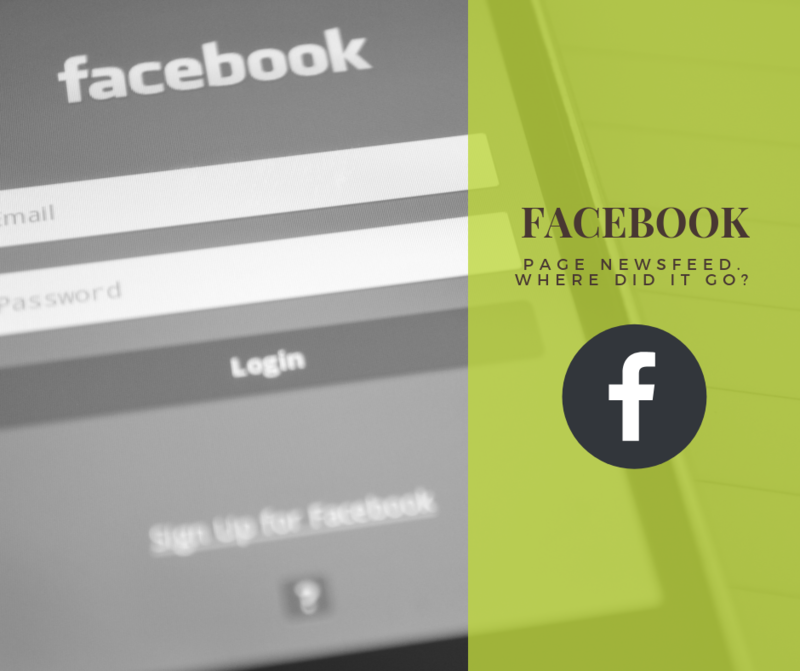 While Pages still can easily “LIKE” other Pages, through either visiting the Page, or using the button located on their Page, the “Page Newsfeed,” as many call it, has been removed. With information being so easily available at our fingertips, we want to make sure that it’s also accessible. 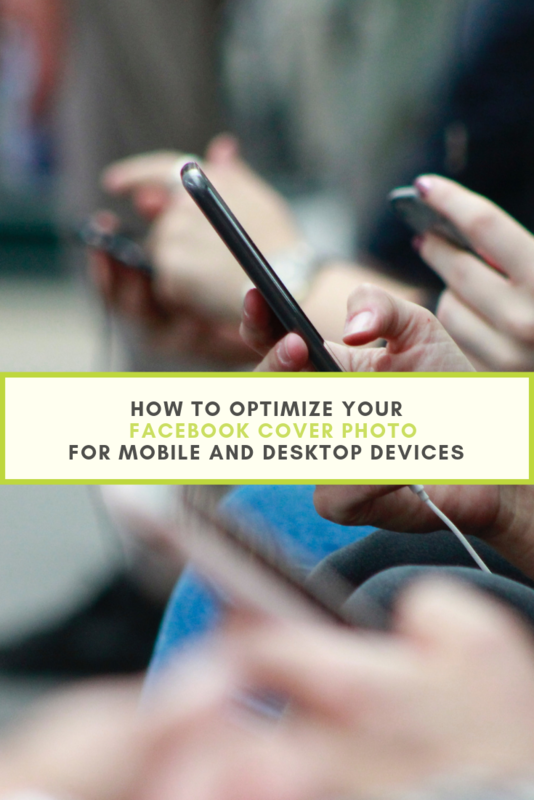 You may have noticed the term mobile friendly being very popular over the past few years. It’s a term that won’t seem to go away anytime soon since a great majority of us use mobile devices when going on social media. 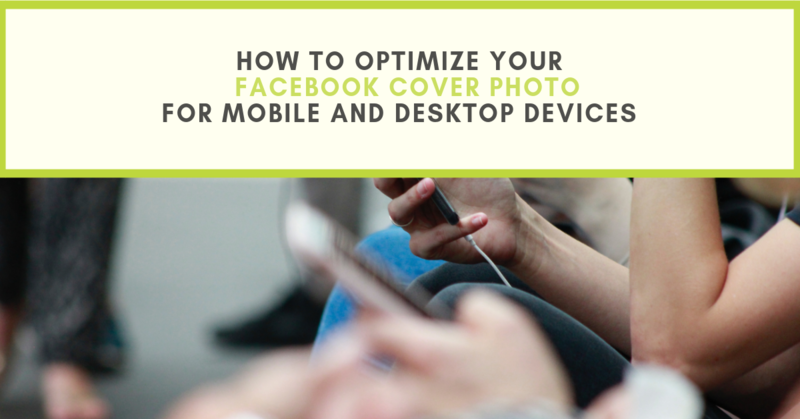 When it comes to Facebook cover photos, you can optimize them so that they’re compatible with both mobile and desktop devices. Here’s how. Free tools such as Canva are great for making Facebook cover photos. Even though Canva comes with an extensive library of templates for you to use, with a Facebook cover photo included, it’s best to create a custom design that can be used for both mobile and desktop devices. If your dimensions are 820 px (pixels) by 461 px, as opposed to 820 px by 312 px, then you allow yourself some extra space so that you don’t lose the important information that you want to share. Even if you’re sharing an photograph as your cover photo, it’s a good idea to also place the photo into a template so that the image appears as it should. If you have a sale or important product that you want your audience to know about, then a Facebook cover page is the way to go. Make that efforts worthwhile by ensuring that the text is centred properly. If you’ve used a large enough template, then you won’t need to worry too much about cut off. But when something is front and centre, it’s most likely to grab your attention. With the changes in seasons and times of the year, it’s never a good idea to have a static Facebook cover photo. Social media’s main purpose is to update your audience on what is going on with your industry or business. Facebook’s cover photo is usually the first interaction your audience will have with your page. Inform your audience of any events, hashtag campaign, or sales you’re a part of. Send them well wishes throughout certain holidays. It’s a good idea to also have some evergreen cover photos. Cover photos that contain your value propositions are a great example especially when you are trying to bring newer followers to your page. There are a number of creative ways to make the most of your Facebook cover images. Use the slideshow or video format to give your audience more opportunities to learn more about you. It’s also a nice way to show that you’re up-to-date with the way content can is commonly consumed. People love more than one photo and they love videos. So why not just give them what they want? Facebook cover photos are another platform to showcase who you are and what’s going on with you as a business. What Facebook covers have impressed you the most? Leave a comment below! Ah negative posts. We’ve all seen them. Do we all love them? Not so much. Do we all know how to deal with them appropriately? Also, maybe not so much. 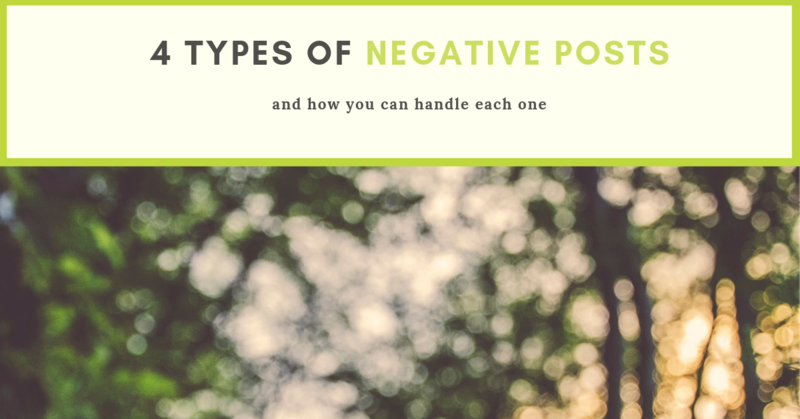 Here’s how you can handle each type of negative post. A troll is known for deliberately posting inflammatory or irrelevant comments that can be harmful to the wider community reading those comments. It’s a good idea to monitor the post for any follow-up responses. Alternatively, the post can be deleted or hidden if there is any derogatory or vulgar language in the comment itself. Misinformed posts are those posts which contain content that is inaccurate. These posts are generally regarding news and events. It’s a good idea to jump into the conversation and provide accurate information. These types of posts generally come from someone who comments with the intent to cause a debate or stir the pot. The best solution is to monitor these posts with the hope that other social media users will provide a medium to create a healthy debate. If the user continues to fuel a debate with you, then follow the suggestion mentioned in the previous point. Silence or lack of action is often not the best solution, especially on a public domain such as social media. While it may be tempting to block a user or delete a negative post or comment, you’re missing out on an opportunity to rise above. 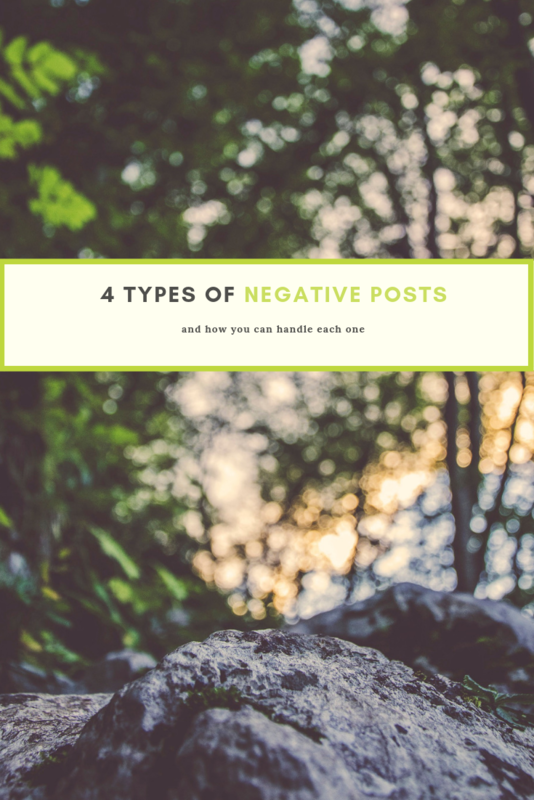 Do you have any tips for managing a negative post? Share your them in the comments below!